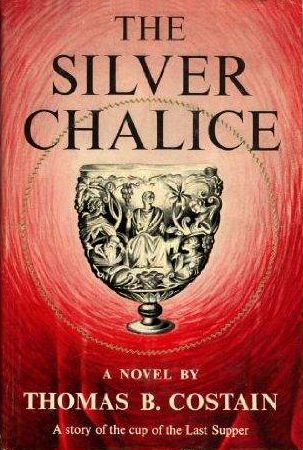 The Silver Chalice is the fictional story set in the first century A.D. There are many early biblical & historical figures: Luke, Peter, Joseph of Arimathea, Simon Magus & his companion Helena. The story is mainly about a young silversmith, Basil, who, after being robbed of his inheritance, and sold into slavery is asked by the apostle Luke to create a holder for the cup Jesus used at the Last Supper. Author Bio for Costain, Thomas B.
Thomas Bertram Costain (May 8, 1885 – October 8, 1965) was a Canadian journalist who became a best-selling author of historical novels at the age of 57. Costain's work is a mixture of commercial history (such as The White and The Gold, a history of New France to around 1720) and fiction that relies heavily on historic events (one review stated it was hard to tell where history leaves off and apocrypha begins). 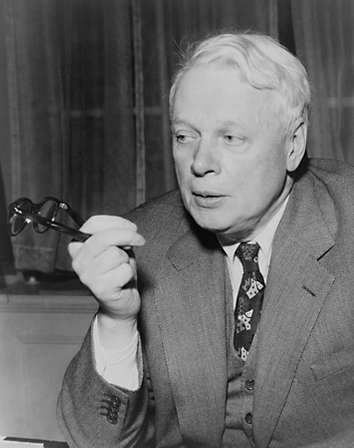 His most popular novel was The Black Rose (1945), centred in the time and actions of Bayan of the Baarin also known as Bayan of the Hundred Eyes. Costain noted in his foreword that he initially intended the book to be about Bayan and Edward I, but became caught up in the legend of Thomas a Becket's parents: an English knight married to an Eastern girl. The book was a selection of the Literary Guild with a first printing of 650,000 copies and sold over two million copies in its first year. His research led him to believe that Richard III was a great monarch tarred by conspiracies, after his death, with the murder of the princes in the tower. Costain supported his theories with documentation, suggesting that the real murderer was Henry VII. Epub 20180802.epub If you cannot open a .mobi file on your mobile device, please use .epub with an appropriate eReader. Mobi/Kindle 20180802.mobi Not all Kindles or Kindle apps open all .mobi files.